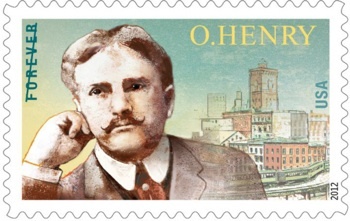 As readers of this blog are aware, we have filed a petition for posthumous pardon of the great American short story writer O. Henry. Such a pardon would make eminent sense. President Obama quoted O. Henry one Thanksgiving. Shortly thereafter, the U.S. Postal Service created a commemorative stamp, in honor of the 150th anniversary of his birth. And all with good reason. O. Henry lived such a commendable life after his time in prison that many could hardly believe that he had ever been convicted, or that such a conviction could have been just. Most of the world (including his own daughter) learned of his conviction - as Sidney Porter - after his death. But, in fact, O. Henry was given a mandatory minimum sentence (for embezzlement of bank funds - a first and last offense), had an exemplary prison record, was released early and went on to live a productive, law-abiding life, with exceptional personal accomplishment and distinction to boot. He is - was - quite clearly a model example of what President Obama has repeatedly said he has an interest in: cases where second chances are deserved. The symbolism of an O. Henry pardon would be 1) sensible 2) widely praised 3) intuitively and meaningfully symbolic and 4) non-controversial - quite unlike other applications for posthumous pardons floating around out there. What makes us particularly excited about this year's effort - even with just six days left in the administration - is that we have been assured that our application will make it out of the bowels of the Department of Justice and that it (or some summary of it) will be put before the President. It will be given consideration. Some kind of decision will be made.